These green baseball photo frames have baseballs all over on a green background. 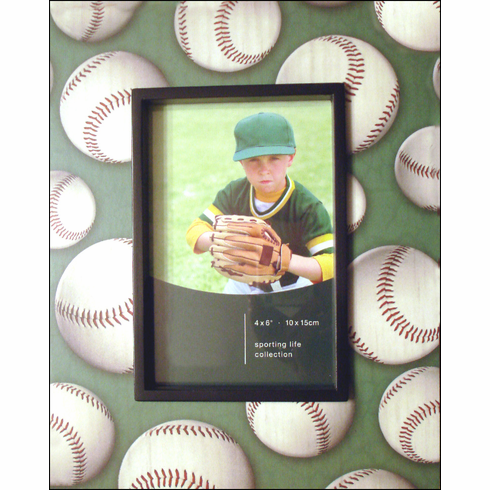 Perfect frame for your 4" x 6" horizontal or vertical baseball picture. Outside measures 7.5" x 9.5".